As reported last time, DELL Inspiron8200 has the line-in jack, but it cannot be selected by the sound driver. Use of the microphone jack and the headphone jack seems to be a standard of the latest laptop PC. Does the microphone jack have sufficient performance for the measurement? This time, the same measurement as in Audio measurement report 7 is tried by using the microphone jack as the input device. 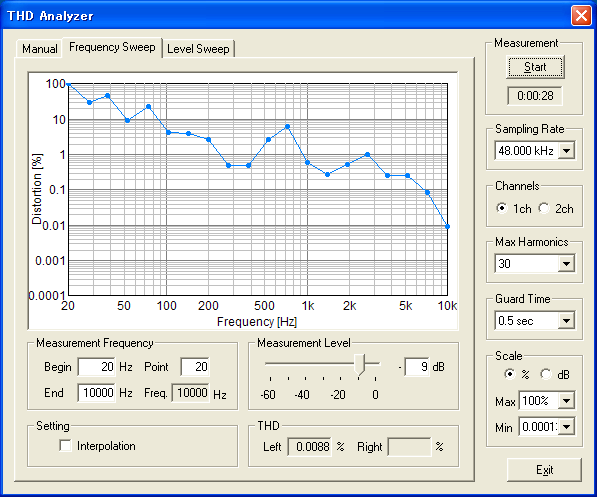 As in Audio measurement report 7, the frequency response and the Total Harmonic Distortion (THD) are measured in the listening room by using the sweep signal. 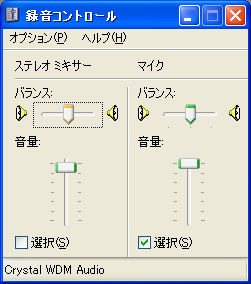 This is the playback volume control of Windows. This is the recording volume control. Microphone is selected. 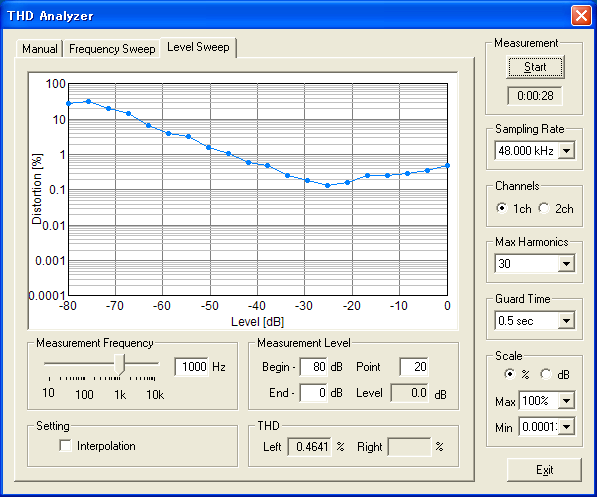 Microphone is calibrated by using the sound level meter. 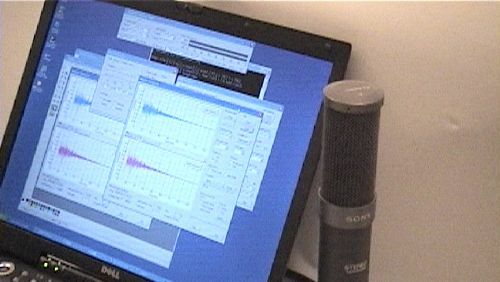 SONY ECM999 is directly connected to the microphone jack and the input level is adjusted to the sound level meter reading. 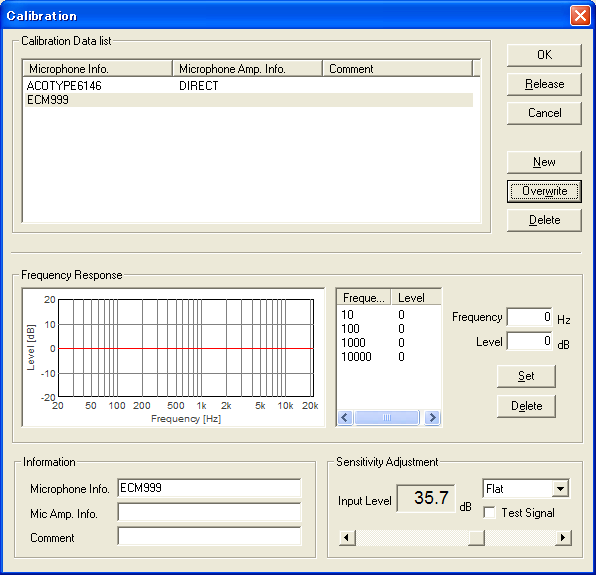 See the program manual for more instruction of the microphone calibration. On the main window of RA (the figure is RA of DSSF3 version5), input level is checked. The input peak level monitor indicates about -70 dB. Even when the loudspeaker outputs the maximum level, it increases only to -40 dB. It is not necessary to worry about distortion. 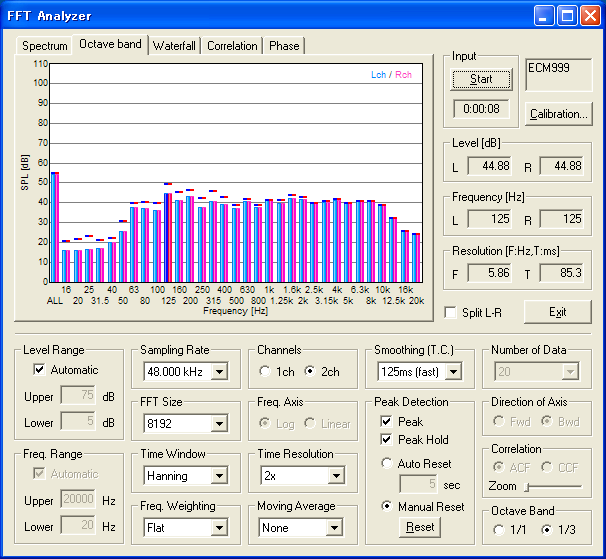 The frequency weighting of the FFT analyzer is set to FLAT, because the frequency response of the loudspeaker is measured. 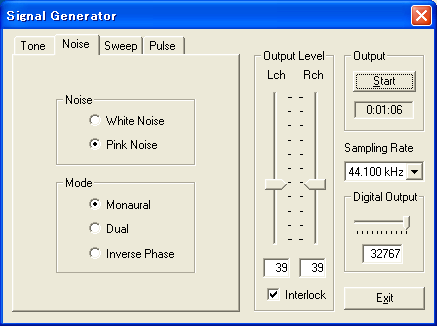 As a test signal, pink noise is outputted by the signal generator. 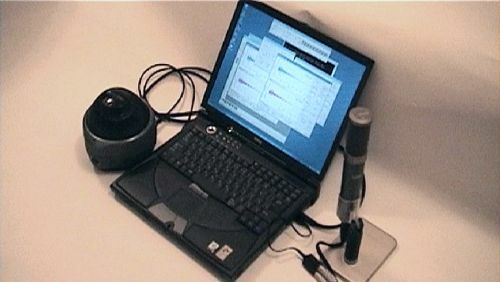 Loudspeaker OMNI5 is connected to the headphone jack of Inspiron8200. This is a result of the 1/3 octave analysis. 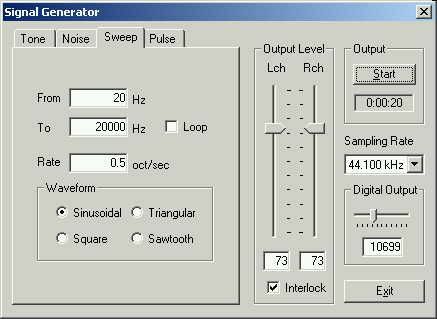 This is a setup of the signal generator. By using the sinusoidal sweep signal, frequency response at the listening point is measured. 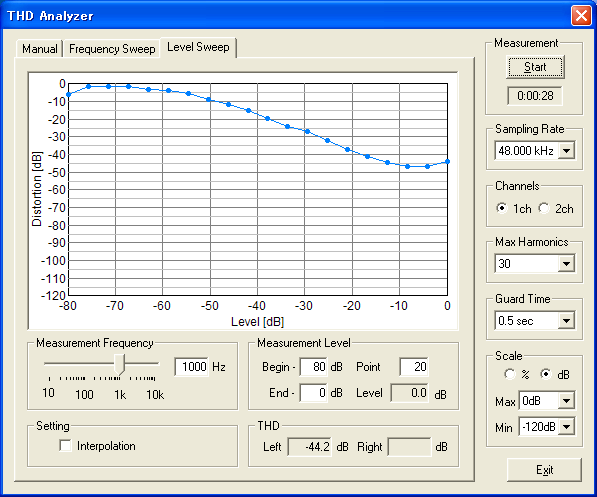 The lower curve shows the background noise, and the upper curve shows the loudspeaker's output. It was measured by using the peak hold function. 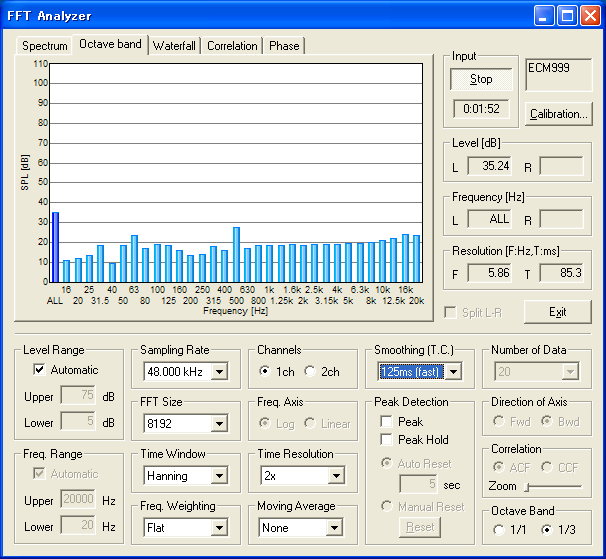 This is a result of the frequency sweep measurement by the THD analyzer measured at the listening point. 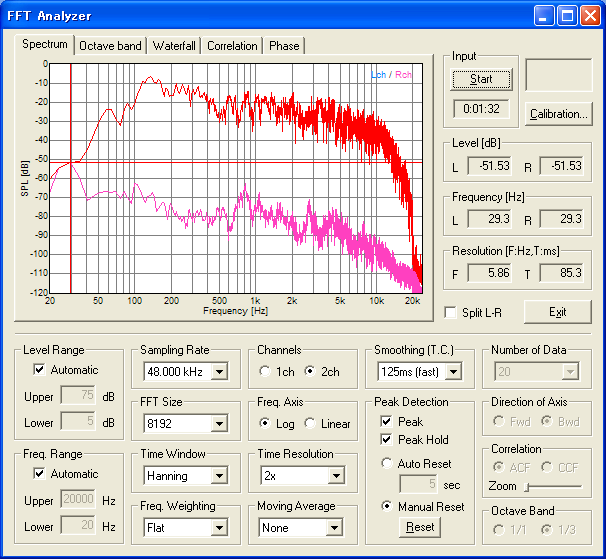 Total Harmonic Distortion can be measured in the specified frequency range. This is a result of the level sweep measurement. Distortion is measured for specified output level. When the distortion is measured, more input level is needed. 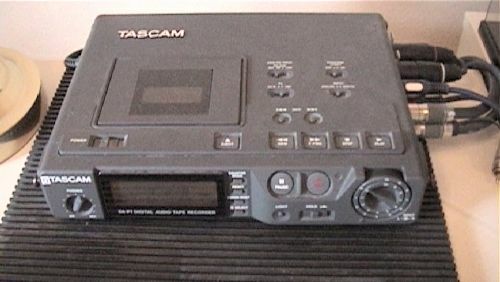 To increase an input level, TASCAM DAT recorder is used as a microphone amplifier. 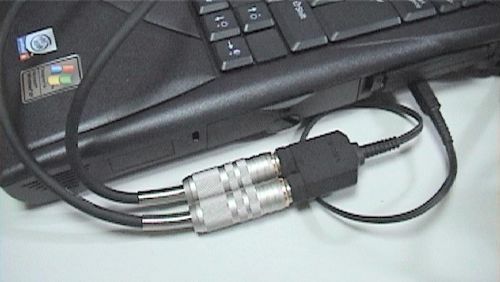 DAT is connected between the microphone and the microphone jack. Input level increased to -20 dB. 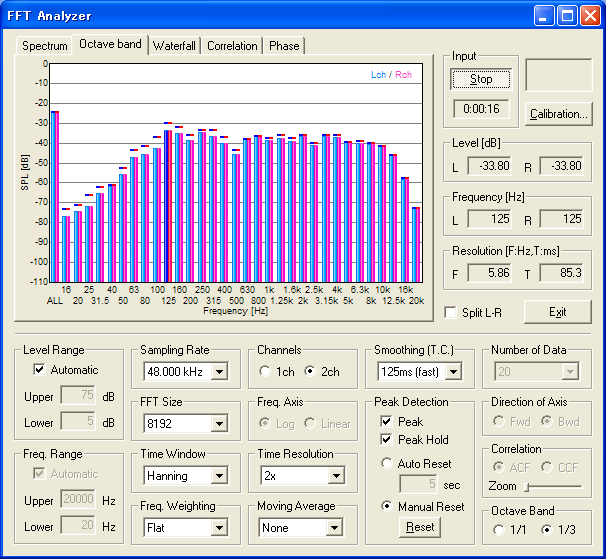 Result of the frequency sweep measurement. 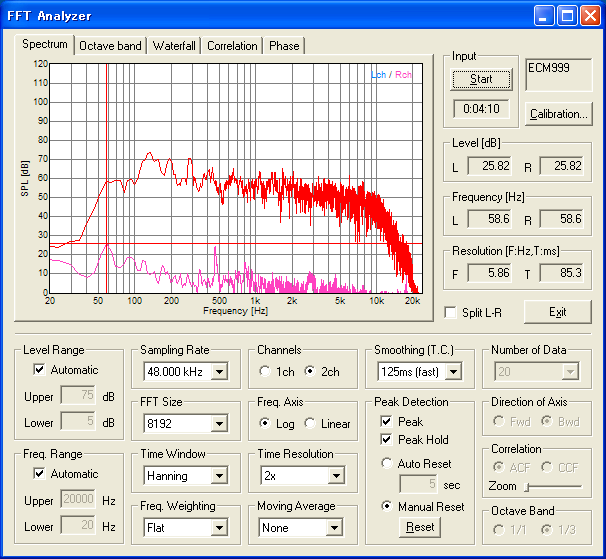 Result of the level sweep measurement. It seems that the microphone amplifier is needed when the wide dynamic range microphone is used. It seems that the microphone jack of Inspiron8200 does not have particular problems. It can be used for the measurement.